Rashad Evans et Anthony Smith s'affronteront à l'UFC 225 dans le cadre d'un duel chez les poids mi-lourds présenté en carte pré-préliminaire sur UFC FIGHT PASS. Le joueur des Bills de Buffalo Bills, Richie Incognito, l'ancien champion des poids mi-lourds, Rashad Evans et Stephen "Wonderboy" Thompson font leurs prédictions du combat entre Daniel Cormier et Anthony Johnson à l'UFC 210. 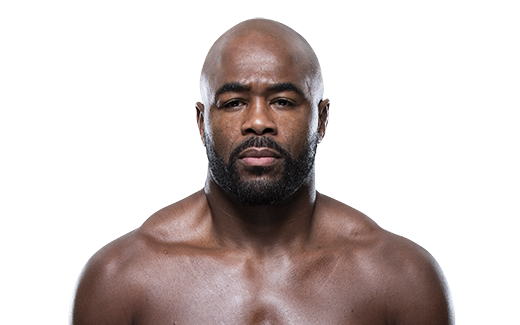 Il manque un combattants de Buffalo à l'UFC 210 - Rashad Evans. Écoutez Evans parler du fait de ne pas combattre sur cette carte. Aussi, il discute d'une étoile montante dont le nom risque bientôt d'être sur toutes les lèvres. TRAINING: My typical day starts at 6 a.m. with strength and conditioning. Then team practice is at 10:30 a.m., which on any given day may cover any one of the many disciplines in MMA. At 5 p.m. I return. I follow this routine until Sunday and have off. I have strength class on Monday and Wednesday, but on the other mornings I still just do my conditioning. When and why did you start training for fighting? I started to train in 2003 after I graduated from college. I love fighting so much and I figured why take the chance of fighting in the streets when I can get paid to fight in the Octagon. Even though the street fights are a lot of fun, I put it behind me and started to train with a true purpose. What does it mean for you to fight in the UFC? The UFC is the top, and a great organization. I have been a big fan since my adolescent years when I use to take karate. I can remember like it was yesterday my best friend and I watching one of the events. We said one day we will be fighting in the UFC. So what is like to fight in the UFC? It’s a dream come true. Did you go to college and if so what degree did you earn? Michigan State University, Psychology 2003. What was your job before you started fighting? I worked at a hospital in Lansing doing security. Next to this job it was my favorite job. You learn a lot about life working in a hospital, the lessons I learned in the hospital you can't learn many places. Accomplishments in amateur competition? Junior College National Champion wrestler for Niagara Community College. All-American wrestler. Six of last 11 wins by knockout. 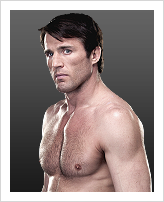 Beat four heavyweights to win The Ultimate Fighter season two – one of those heavyweights was former light heavyweight contender and good friend Keith Jardine. Knockout win over Sean Salmon in 2007 was one of the best KOs of the year. 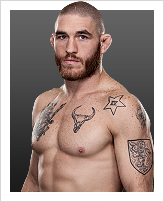 Last submission win came in 2004.